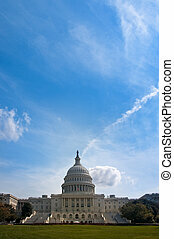 The u.s. capitol building in washington, d.c. on a sunny day. 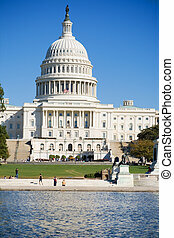 The U.S. Capitol building in Washington, D.C.
West side the U.S. Capitol building. 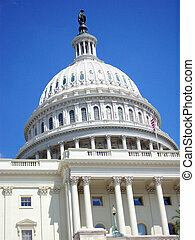 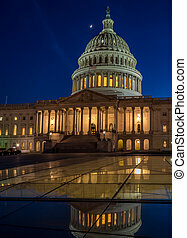 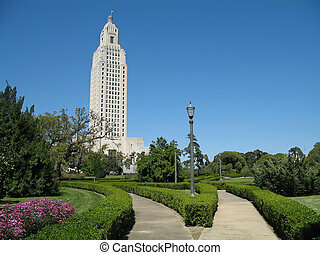 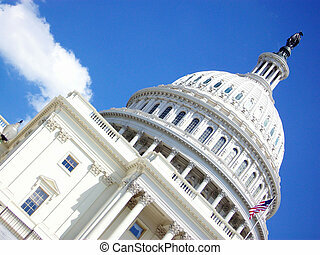 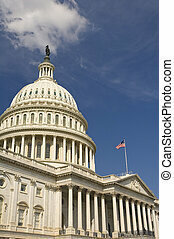 Photo of the U.S. Capitol Building in Washington, D.C. 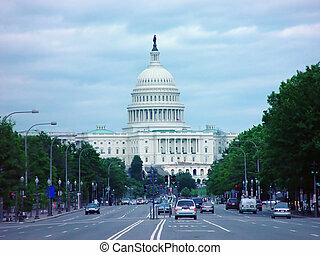 The U.S. Capitol Building from the middle of Pennselvia Ave., with trees drawing eye to the building. 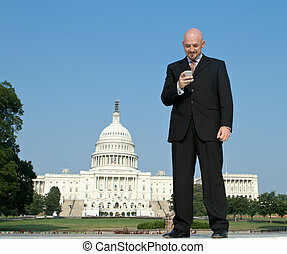 Businessman checking a smartphone in front of the U.S. Capitol building, Washington, DC, USA. 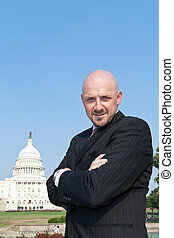 Confident Caucasian man in suit in front of the U.S. Capitol Building in Washington DC. 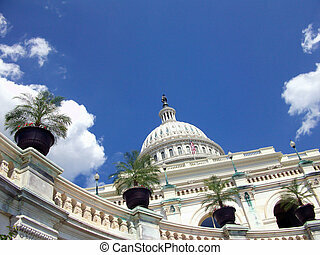 Lobbyist concept. 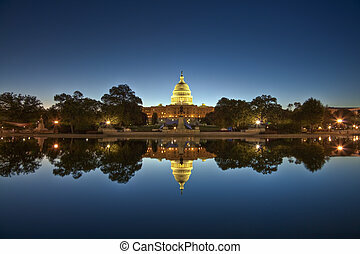 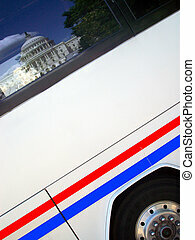 The U.S. Capitol building in Washington, D.C., reflected in a tour bus window. 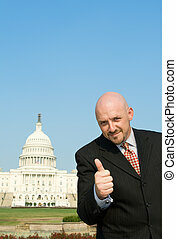 Happy white man giving a thumbs up gesture in front of the U.S. Capitol building in Washington, DC. 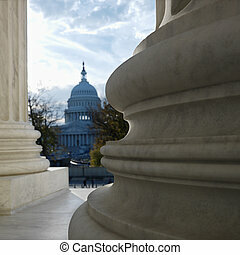 View of Capitol building in distance from behind columns of the Supreme Court building in Washington DC.